Choosing an office space for a long-term rental is a major aspect in building a business that every entrepreneur must consider. This is one of the initial concerns of business owners who wish to start or expand their business in Japan along basic necessities like rental prices and distance from the nearest station. Usually, they are not familiar with the processes and all the associated paperwork. The aim of this guide is to help you understand the loops of renting an office space in Japan so you can handle the process better. Tokyo is the most preferred business location in all of Japan because it is the economic center of the country. In fact, it is viewed as the counterpart of Wall Street in the US. Hence, it pays to understand how it is to rent a commercial space in this area. What to remember when renting an office? There are two ways to find the perfect office space for your business in Japan. The first one is hiring a real estate agent who understands the details of the location you are targeting as well as the processes involved. The second one is doing it yourself through the use of newspaper classifieds and the Internet websites advertising office spaces for rent. The latter option is often time-consuming and can usually does not provide enough information, which is why a lot of busy entrepreneurs prefer working with a commercial property agent. Prior to signing any lease agreement, it is important that you consider all the costs that come with renting an office space in Japan. The rental fee may be really affordable, but don’t forget about other bills like telecommunications, electricity, office cleaning, insurance, etc. Each country has different terms and leasing practices, so what you might have been accustomed to in your homeland may be totally different in Japan. Here are some of the common lease terms used and followed by landlords and tenants alike in Tokyo. This is a unique term used for area measurement in Japan. One tsubo is equivalent to 3.305785 square meters or 35.58 square feet. As a bonus tip, a comfortable workstation is about 1-2 tsubo per person. Property rentals are usually expressed per tsubo. The rate is affected by several factors such as the year the property was built, location, facilities, appearance, etc. Also called “shikikin” or “hoshokin”, this is a refundable payment, which the lessee usually gets back within 3 weeks to 1 month after vacating the rental property upon conclusion of the lease agreement. Other fees like fixed amortization fee (if applicable) and restoration fee are deducted from the security deposit. The security deposit amount is 4-8 times the monthly rent for small to medium-sized offices and 6-18 times the monthly rent for medium to large-sized offices. Also termed “shoukyakuhi” in Japan, this refers to the non-refundable payment to the lessor, which is usually deducted from the security deposit upon the conclusion of the rental/lease agreement. Also called “koushinryou”, this is the amount one pays when renewing the rental/lease contract. It is usually 0-2 times the monthly rental value. It is very common in Japan to unlist the monthly rent and rates, so it is advisable to tick “include unlisted rate” when searching for a commercial property for rent online. This is an extra fee that lessees pay the lessor for the maintenance and cleaning of public areas such as entrance, pathways, elevators, etc. This is an incentive given to the lessee by the lessor when signing a long-term rent/lease contract. For example, for every 12-month contract, either the 12thor 13thmonth is free of rent. However, this does not cover the management fee or common fee, which the lessee still has to pay himself. This is the fee paid to the property agent. Often, the lessor pays the commission. This is the usual floor size of a property being considered. In Japan, construction companies follow a number of quakeproof standards such as the New Earthquake Resistance Standard. 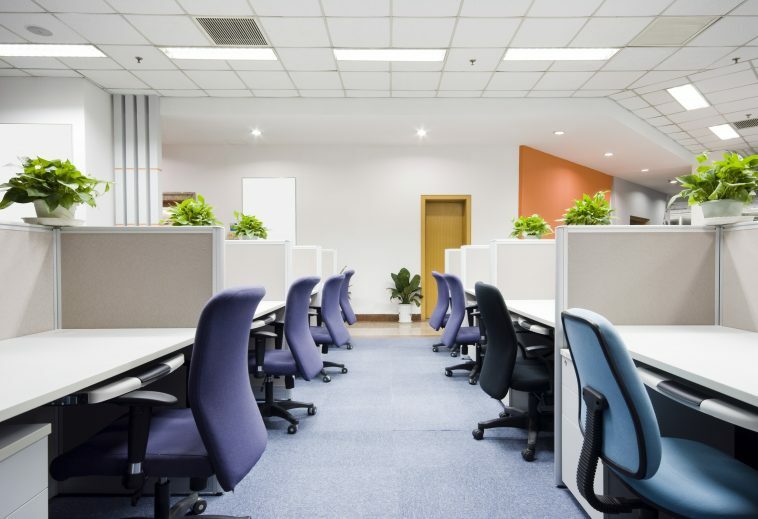 This is something you should look at when choosing an office space long-term so you will be at ease knowing that the building that houses your office can withstand earthquakes. In companies, there are even earthquake helmets. In the short-term, however, earthquakes are not something to worry about as thousands occur each year. Also termed as “shouhizei”, this is among the obligatory taxes that lessees have to pay. Right now, the tax rate is at 8%. In Tokyo, the 5 central business districts are Chuo, Chiyoda, Shibuya, Shinjuku, and Minato. Consider any of these areas for a reputable business address. That does not mean having a business in a place other than these districts is necessarily bad, though. Now, there are 2 types of commercial real estate leases in the country: (1) ordinary renewable leases, and (2) fixed-term leases. One type that is applicable when renting an office space long-term is the “ordinary building lease”. This typically has an agreed term of 1 to 2 years and is automatically renewable under the Land and Building Lease Law in Japan. Under this lease agreement, the tenant is secured and protected by the law in terms of termination of a contract by the lessor. Some of the few factors accepted by the court include: (1) previous history relating to the lease, (2) usage necessity by the landlord and tenant, (3) present condition and use of the leased property, and (4) benefits offered by the lessor to the lessee for the latter to vacate the property. When leasing a commercial property under the fixed term building lease contract, you have to remember that the lease is non-renewable. However, there is no restriction when it comes to the length of the term. Also, both parties are not prevented from entering another lease contract when the previous one expires. A separate written agreement provided by the lessor indicating the non-renewal and expiration of the lease contract. The lessor is also required to explain this to the lessee in advance. For lease terms of 1 year or more, the lessor is required to provide the lessee a written notice of termination between 6-12 months before the expiration of the lease contract. The lessor bears the responsibility of keeping the leased commercial property in good condition. However, in cases when the actions of the lessee caused damages to the ceilings, walls, and floors of the property, the costs of repair must be covered by himself. Lessees are also required to obtain a fire and accident insurance, which will cover the compensation to the owner when accidents or fires happen. Should You Consider Hiring A Property Agent When Renting An Office Long-Term? Office hunting in a foreign country like Japan can be a very mundane task. Now, to help you find the perfect location and best deal, hiring a local expert with expert knowledge can help you save time, energy, and effort. You can focus on other aspects of your business while the property agent coordinates all the paperwork and other technical areas of the lease process. Renting in Japan for the long term is trickier than renting in the short term. Factors like location, reputation, age of building and distance from subway stations have a much bigger effect on you as an owner than renting in the short term. If you rent in the long term, it is a much more permanent decision as the leases are almost always longer. Want to learn more? Click here for a general guide about renting in Japan and click here for a short-term guide about renting in Japan. What if I want to end my lease early? Usually, there is a heads up that needs to be given even when canceling a lease early, like a month or so. Make sure you read the contract closely or have someone read it for you so you understand the rules. Does Japan have guaranteers for rent for offices? Yes. Usually guaranteers have to prove they can pay the bill if you are not able to. If you do not know anyone, there are companies who can do this for you. This is similar to renting an apartment. Do Japanese companies have cubicles? Do I get my initial deposit back? Yes. However, if you accumulated damages before you left, then that could come out of your deposit. Do I have to be proficient in Japanese to rent an office? It depends on several factors. For example, do you want to rent space from a Japanese company or a foreign one? What is the desirable location of your office, e.g. a bigger city or a smaller town? Do you use a Japanese/English speaking agent? Nowadays there are many companies to choose from, including the foreign ones, meaning they can provide services in English, too. In bigger cities chances to get services in English from a Japanese company are higher than in the smaller or more distant locations. Also, if you choose to hire an agent, consider the agent’s language abilities. You will be able to find several English-speaking agencies for sure, but knowing Japanese or having a Japanese-speaking person may be of great help.